Andy Rubin, the co-creator of Android, isn’t resting on his laurels. He may have helped develop a mobile operating system that boasts two billion monthly active users, but he’s now eyeing the next big thing. 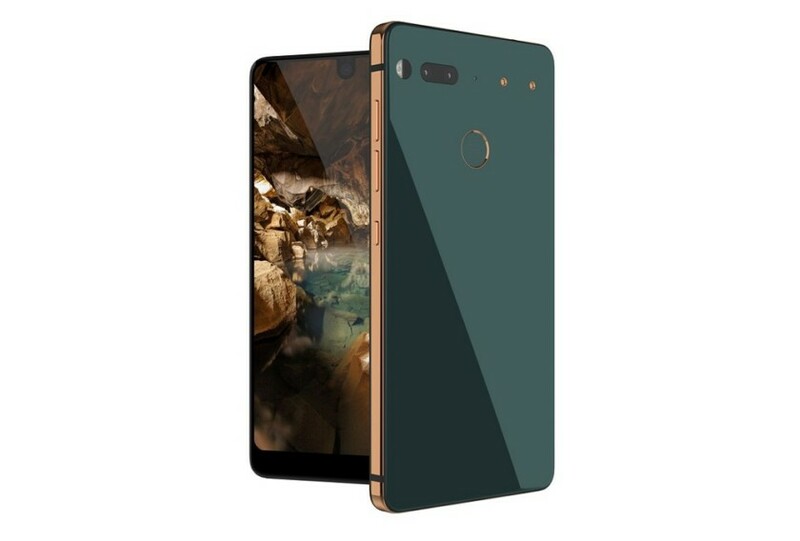 His company is set to release its first smartphone, titled the Essential Phone, in June, and we already know a bit about it from the specs and price details announced yesterday. Last night, Rubin also took part in a Code Conference interview to discuss why the Essential phone is here and what makes it special. It’s an interesting interview, providing lots of insights into the industry. You can watch it in its entirety above, but I’ve also summarized the main talking points regarding the phone below. In other words, the Essential Phone is just a first step towards a much bigger idea. Though what this will be isn’t completely clear yet, you can already see the direction it’s going in some of the other IPs Essential has announced. The company is working on its own OS, known as Ambient OS (though its Essential phone runs Android 7.1.1 Nougat), and a Smart Home product like the Amazon Echo Show. The design of the Essential is distinct, with a large front-facing display and near bezel-less design. Rubin talked this up in the interview, saying that you’re getting the phablet-like screen in a regular phone size, but conceded that it was the way others in the industry were moving. “This isn’t rocket science, it’s technology evolution,” Rubin said. Rubin also discussed how the company employed titanium to strengthen the device body, stating that it would “bend in my pocket” if it was made from the typical aluminum used in smartphones. On the rear of the handset, two magnetic pins can be found which will be used to connect to Essential’s accessories. Rubin said this was a first step in a bid to get away from cables. “Connectors of any kind are dumb,” he said. “They should all go away.” While the Essential phone does have USB Type-C, as the industry transitions, the Essential phone also employs magnetic pins for mod connectivity, which feature a near-field, 60 GHz RF chip that works effectively the same as USB 3.0. Essential’s upcoming home assistant will utilize the same tech, and Rubin says future Essential Phones could change form factor without excluding existing accessories. Current Motorola phones are restricted to the same form factor if they want to maintain compatibility with the Moto Mods, Rubin said. Rubin also talked a bit about the digital assistant integration, which is set to play a significant role in the Essential Phone. “If you think of an assistant, and how you would expect an assistant to run in your home, that same assistant runs on the phone,” he said. Essential is yet to talk about or demonstrate precisely what this assistant will offer, however. This is as good a reason as any to begin a business building smartphones, and the Essential Phone looks great and has the kind of specs you’d expect from a $699 device. I’m not sure if the Essential Phone is intended to bring something really fresh to the table yet, though. With Rubin — and his company — aiming to be part of the next great tech movement, I expect this is more of a foundational, “proof-of-concept” type product. But I hope it’s a success, because the next Essential Phones could be where the gears really start to turn.